Hello loves, and sorry for being on hiatus for the longest time. If you have been following me since June, you’d already realize that I have been so made busy planning for the biggest event of my life: my wedding! 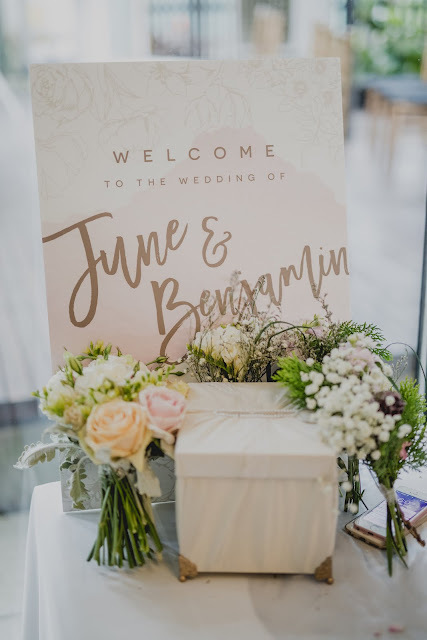 So when I started my planning, I had 2 objectives: to plan a dreamy rustic wedding that reflected Ben and my personalities, but to achieve everything on a shoestring budget. Abit of a tall order considering the exorbitant wedding industry, but this girl is proud to say she was pretty successful! 1) Create a concept of your dream wedding, then explore more economical alternatives. Contrary to what a lot of online portals tell you, Pinterest is a valuable source of ideas and inspiration. 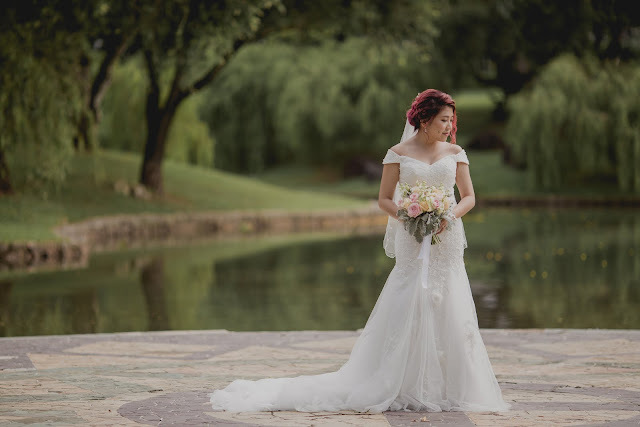 I’ve always wanted to have a Garden Wedding and so the dress needed to be something wispy and whimsical looking. 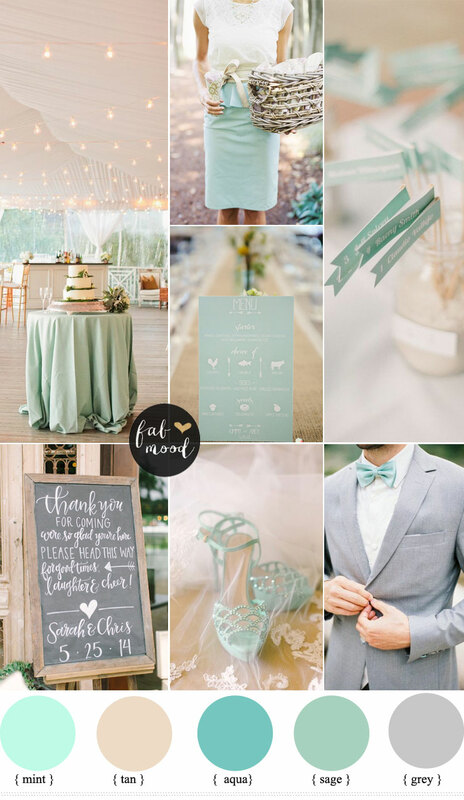 I never was a girly- kinda girl so the husband and I happily settled on the color scheme of mint green & dove grey. 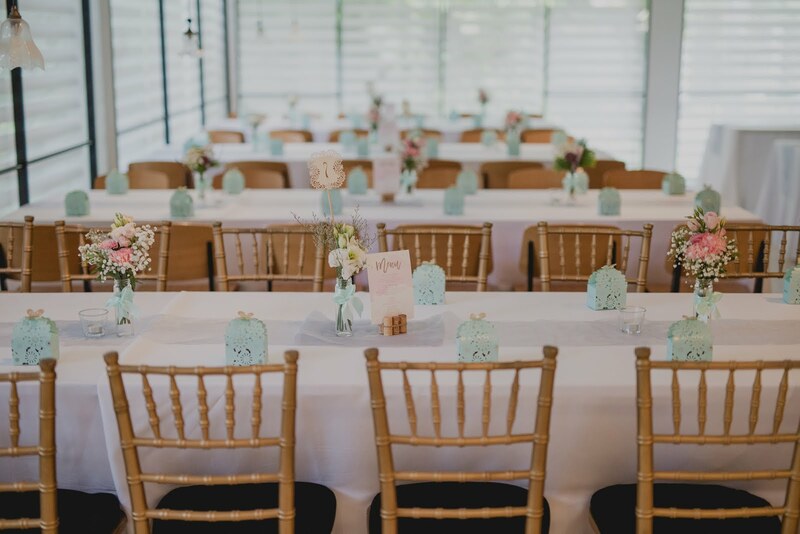 Settling on a colour scheme is vital as any other elements like décor and wedding favours etc, can be decided much easier. 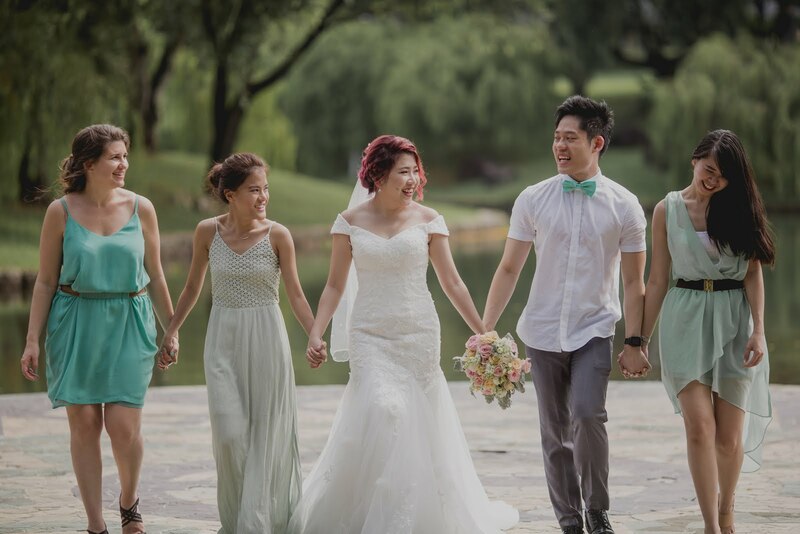 No bridemaids uniforms: I told the girls to just pick a mint green/ blue shade. Slight variations looks great in pictures! No big bridal entourages either, consisting of just my sis & 2 besties, they were all I needed to survive wedding D-day. Bridal jewellery: ... is unnecessarily extravagant to me. I opted for colored, classic pieces like this rose quartz earrings from NewAgeFSG for a pop of color for my white gown, and this mysterious Chalcedony & Labordorite drop earrings from from Trouvee.co to match my silver gown. 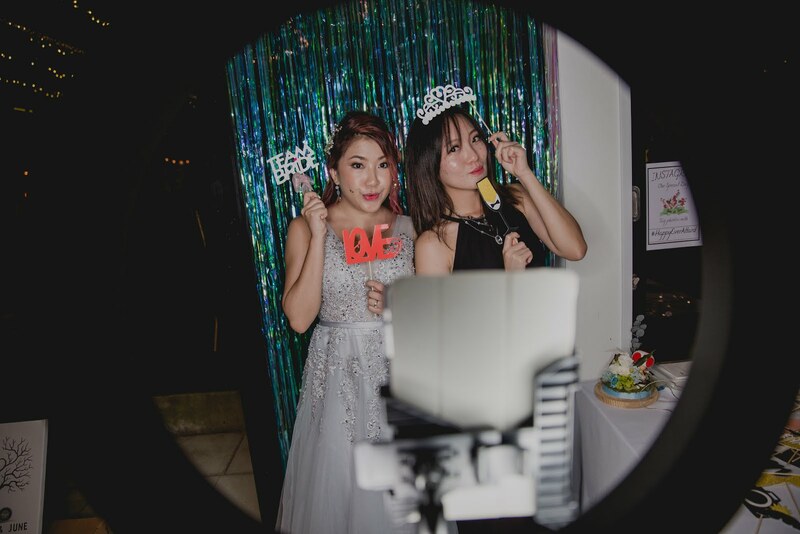 Extras like photobooths cost a bomb: Instead I bought a 2nd hand Selphy photoprinter ($100), a photobooth app on my ipad ($9.99), backdrop + props from carousell/taobao ($15) , borrowed a ring light and the results were amazing. Ben customized our wedding collage which I absolutely adored. 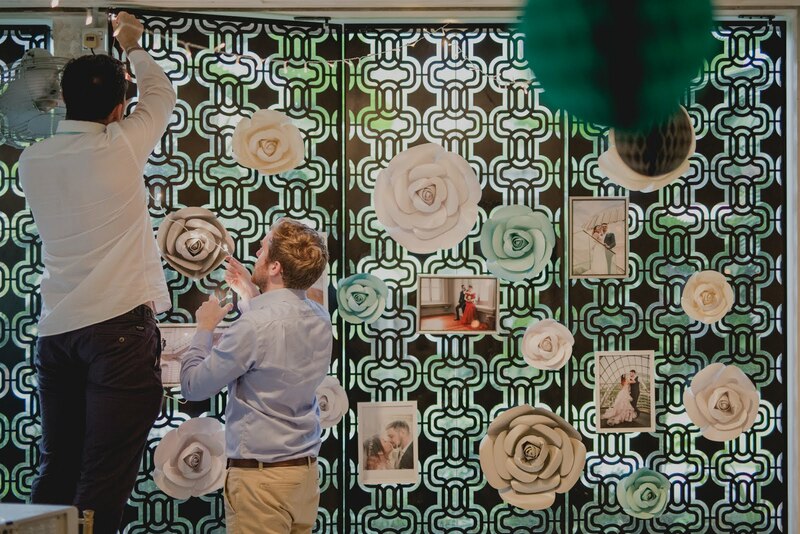 Plus, I could replicate the fun when I brought it to France for my 2nd wedding! 2) Location is Key, settle this first before planning any other aspect! Half the long painful, ardous nights of research went into sourcing for the ideal location. 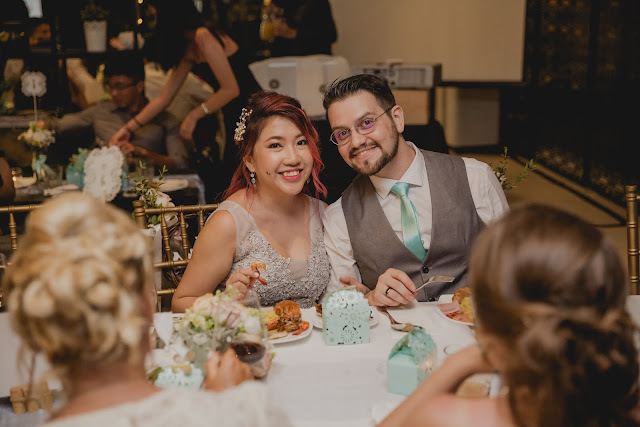 I didn’t really fancy the overly formal feel of an expensive ballroom (and it wouldn’t have worked since I had a small, tight guest list of closest friends/family), and really wanted either a western or fusion fare (because, OMG how many times can one have the same traditional Chinese wedding dinner?!) Upon planning, you are fighting other brides who are eyeing specific days due to auspious dates/ personal availabilty/ solemnizer availability, etc. 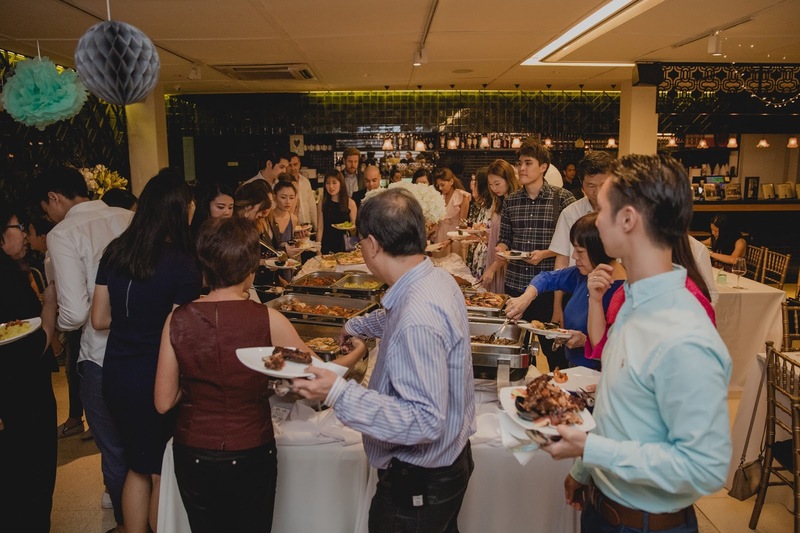 Weekdays tend to be cheaper, and luncheons can be more cost effective. I went to a few choices like One Rochester and Nosh; the former was HORRIBLE with slow and unhelpful replies from their marketing team, while the latter albeit perfect but was wayyy out of my budget. Skyve was perfect with its price-point and relatively tranquil location that’s just slightly away from the bustle of Orchard Road. What tipped my my decision is the level of dedication the crew paid because I certainly did not wish to morph into a full-blown blackfaced Bridezilla, plus extra points in my books for being air-conditioned since it was in mid-June summer heat. 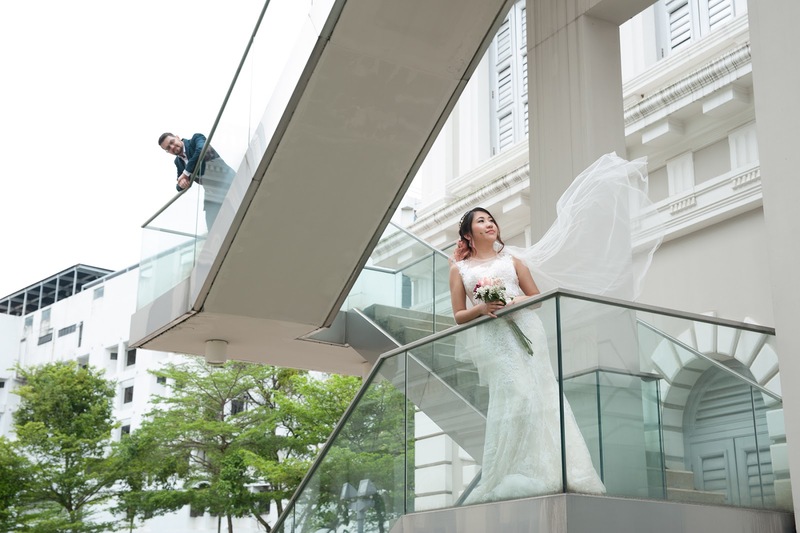 They have a great buffet selection which I can attest to from my tasting, and was able to provide a corkage waiver scheme and complimentary solemnization al-fresco venue. 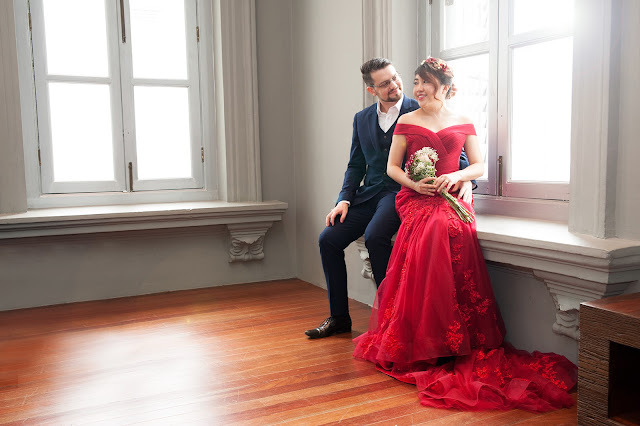 Now many may balk at the idea of ordering and not even getting to try your wedding dress before purchase, but I personally feel that it can help with cost savings if you play your cards right. Scrupulously check all reviews with pictures, and see what the general consensus of the feedbacks are. I zoomed in on the pictures to study the materials of the gowns and compared it to my Pinterest reference pictures. If you can write in Mandarin, drop the sellers a note and ask questions until you feel confident to purchase. Take note of accuracy of actual item, and if material is translucent (which tends to signal inferior lining quality). As for measurements, given that I’ve been shopping online for sometime; I was pretty confident in the accuracy of my vital stats. However, I recommend going for a corset back so you can adjust accordingly to your figure easily and avoid pricey alterations. My dress came pristine and exactly as described in the listing.... I was thrilled beyond! My beautiful, dreamy gown; which cost me about $270...and I get to keep it! I'm selling this beauty for $200, so email me if you'd like to buy! How about 2nd hand? Most brides who chose to buy their gowns for keeps are usually happy to sell off their gowns at a steal. 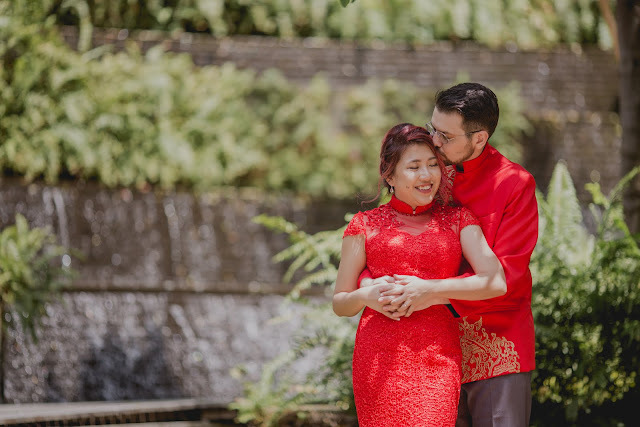 I bought my red cheongsam dress for tea ceremony for $60, which a former bride wore for a few hours. High quality and in mint condition, it was such a score for me; and I get to sell it again once my wedding is over. If you are keen, email me as I’m selling it now! Can you believe that both our wedding outfits were from Carousell? Mine was $60 while Ben's embroidered jacket was $25! TIP: At the end of the day, don't stress and always yell for help. Weddings are a time where your friends and family come into important play! But keep a mild temper even when things don't go your way because they ARE helping you out of the kindness of their hearts. Do have a detailed tasklist for them to refer, and task the Best Man/ Maid of Honor to keep things in check. Now lazy old me went the short cut route for this: I posted a call for recommendations on Facebook and was inundated with tons of contacts almost instantly. With a preferred style of photography in mind and a budget under $1.5K, I compared it to various portfolios sent. 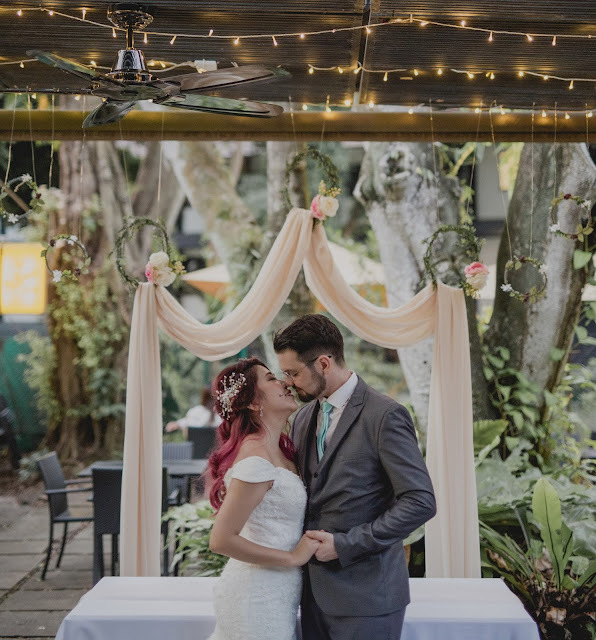 In the end; JJ of AlphaSnow Photography provided not only the best value, but had a excellent portfolio that featured the heartfelt, emotive captures of the bridal couple at their finest moments. 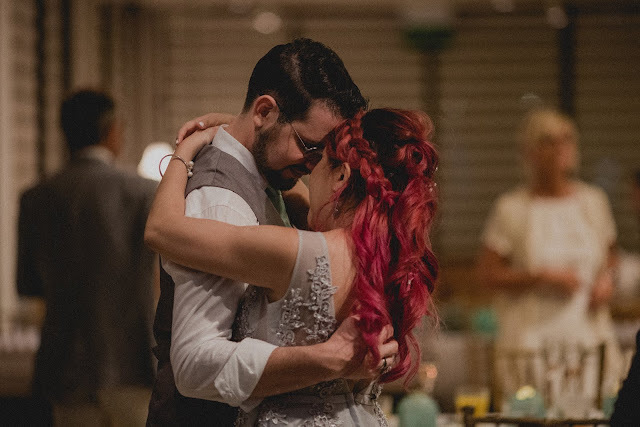 He was so dedicated and tireless (staying on even when I said he can go for the day, to capture candid intimate moments of us dancing together). Initially, I felt videography was really a waste of money. I mean pictures ought to suffice but my makeup artist Fidelis was persuasive in convincing me in investing in real-time memory. But we still didn’t have a big budget for it, so I went to the unlikeliest of all places- Carousell. 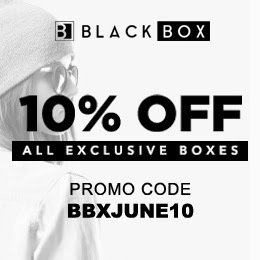 Believe it or not, the app offers a lot of listings; I spoke to a few about my small budget and scrutinized their portfolios before deciding on 19Films….and I’ll let his stunning work speak for itself. TIP: Do explore film/ photography students; some of them are actually assistants to professionals and can provide pretty good work. You can also pitch to vendors for the specific time & shots you need, otherwise a general capture of everything may cost more. If you like it then time to put a bling on it! 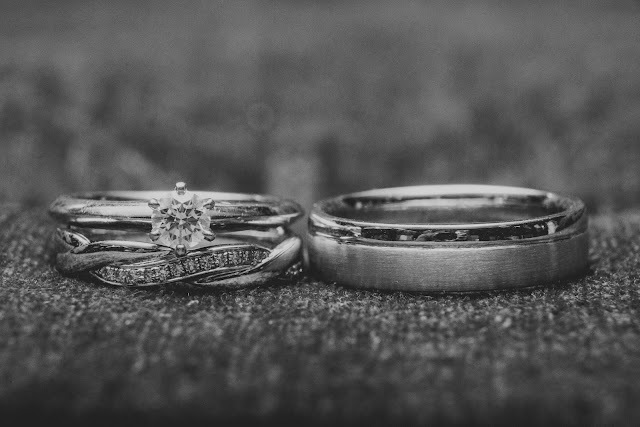 Here's some of the best I've encountered out there: Vault Fine Jewellery offers bespoke ring designing, perfect for the individualistic couple... and if you choose alternative precious stones like Morganite, prices can also be more economical. 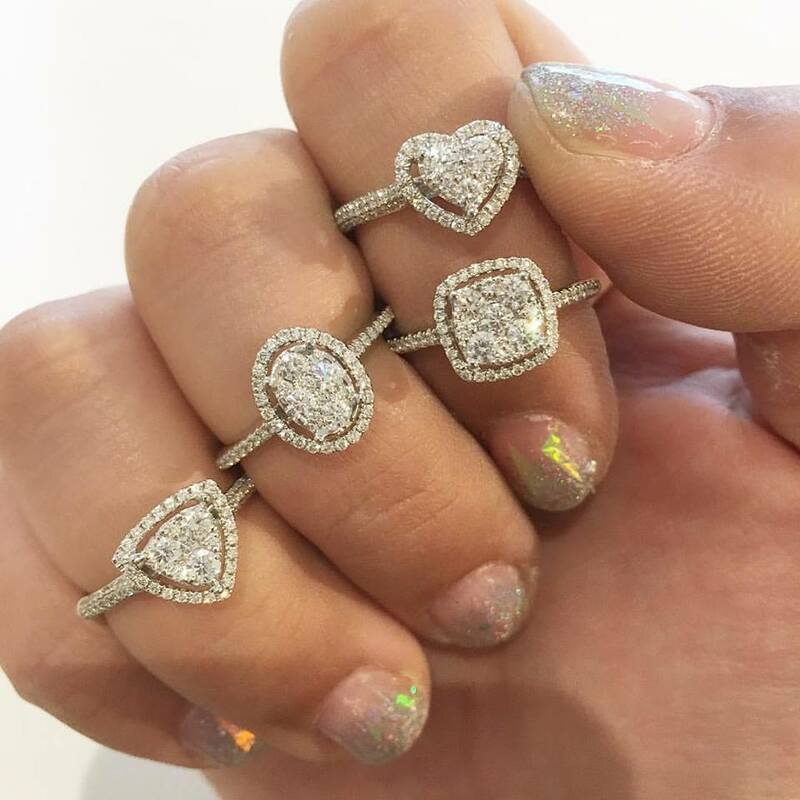 Consider simulated stones too: My good friend Carrie actually has a stunning simulated pear diamond ring, and it has near identical toughness and shine as a real diamond stone (Read about her experience here). In the end though, by stroke of sheer dumb luck I found my dream braided band from LeeHwa Jewellery’s Jorn Rainer series; and just my luck it was on sale at $628! As for Ben, to his best efforts he could not find something ready-made that he liked. A fellow blogger friend Alverina reached out to me, who happens to be the jewellery designer of Chainless Brain; and he managed to see his own design materialize at $800 ish. 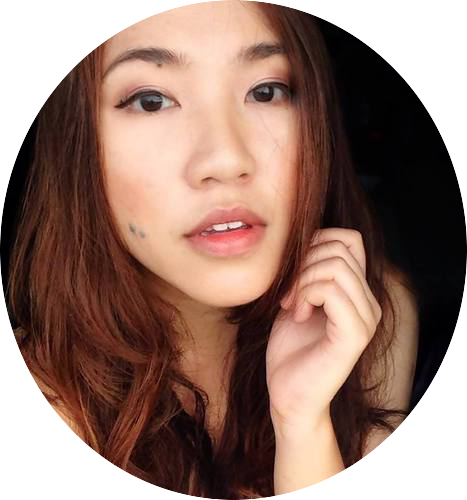 I also recommend Fei of Fei Makeup Artistry; I got to know her through Eventise. 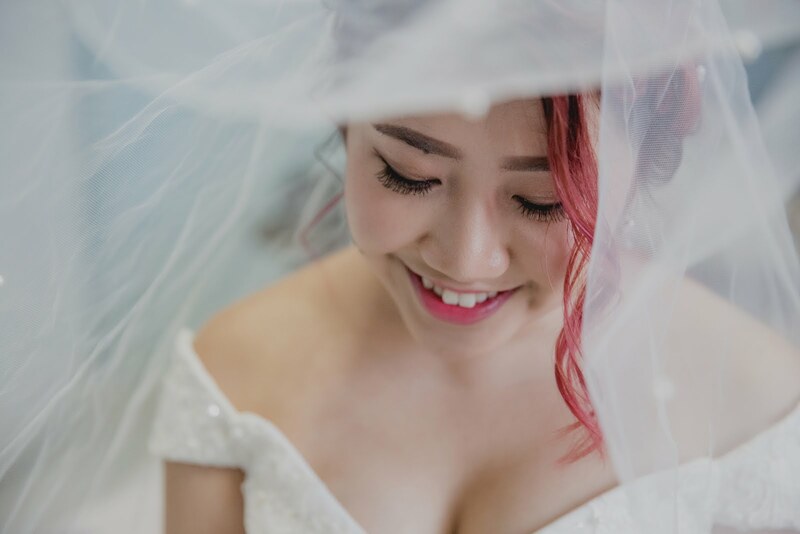 She has ample editorial and bridal makeup experience, and did a lovely job for my pre-wedding shoot (below). 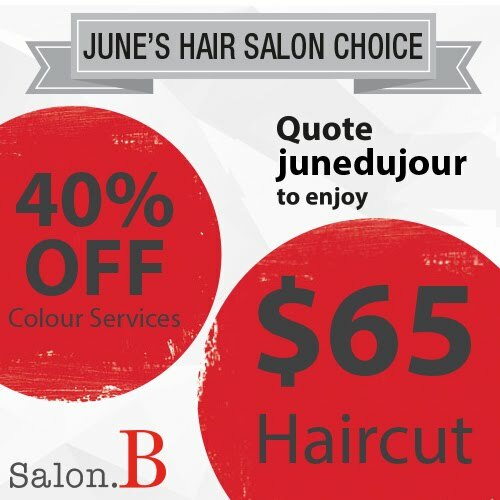 If you are on a budget, try opting for a simple hair and makeup for the day, and have a friend or family member to standby for touchup for the evening. You could opt for an updo for the day and release your hair loose with a change of hair accessory to create a whole new evening look! If there was ever a time to look your best, it's your wedding day. With that philosophy in mind and when the time came, I turned to my friend and https://www.theluckiestchickmakeup.com/. Trained in the art of natural yet flattering Taiwan beauty, she did a stunning job of creating hair and looks to match my dresses. (Not sponsored at all, just really raving her great service!) You can avoid additional costs by providing your MUA your own ampoule, falsies etc instead of having to incur their own. Do try to have an open mind for your dream blossoms as popular blossoms like peonies are costly. 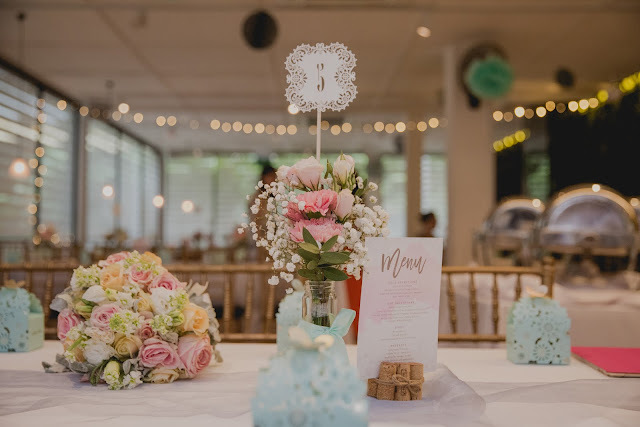 If you want a fuller bouquet, consider getting more 'filler' wispy flowers such as Baby's breath and Limoniums to accompany a smaller number of your centerpiece flowers. You can also ask for similar flowers, like Eustomas which look very close to a rose, the latter which can be very expensive in a bunch. Another way is to choose tropical flowers like orchids which are more common in the region and hence more economical. 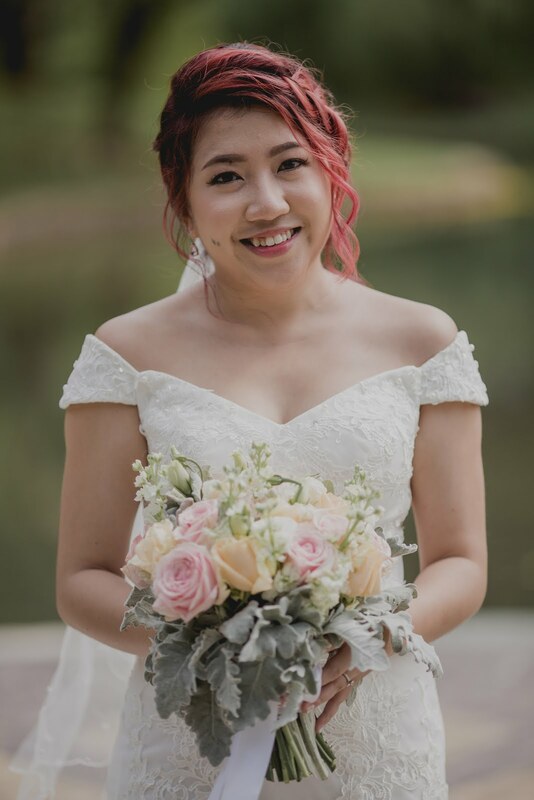 Special thanks to Syaf from TheFlowerGodMother for helping me create an elegant hand bouquet of yellow and pink rose with succulent rustic accompaniments. She's super talented so drop her a note with your idea and budget and you'll be amazed at what she can whip up! Instead of the getting my whole wedding sponsored (which alot of people who expected me to, due to my blogger status), I had a blast challenging myself in balancing my dream wedding on a small budget. After all, I wanted this to be relatable and applicable to my dear bride-to-be readers out there. 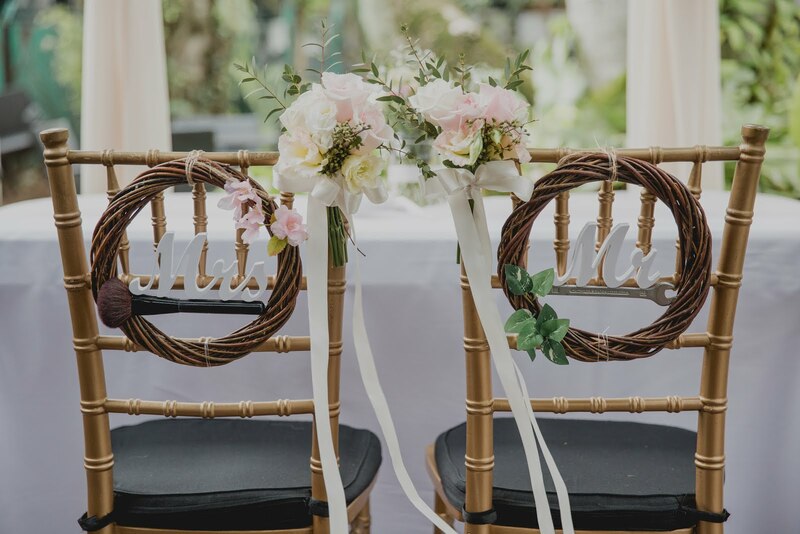 Hope my little feature was of some help if you are currently planning for your big day! If you have any questions or wanna know how I did any DIY projects for my wedding, just drop me a note and I'd be glad to help :) All the best and lotsa love to you guys out there! Wow! 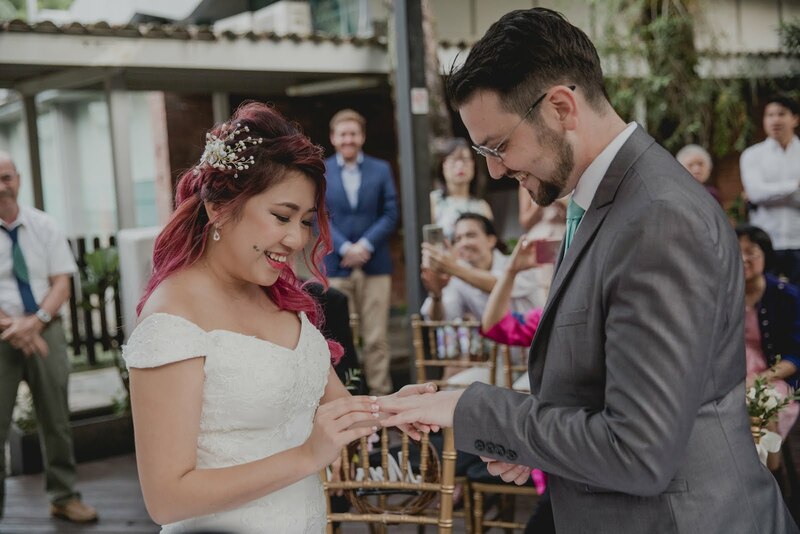 I love how you manage to hold such a beautiful wedding without breaking the bank. :) You looked stunning! It was such an intimate moment and you could really feel the love and energy in the New York wedding venues. They had out sparkling water, wines, champagnes, etc. for all of us upon arrival, and provided dishes and serving utensils for the bagels and other snacks we brought.